This is .327 Federal Magnum Federal American Eagle 85gr. 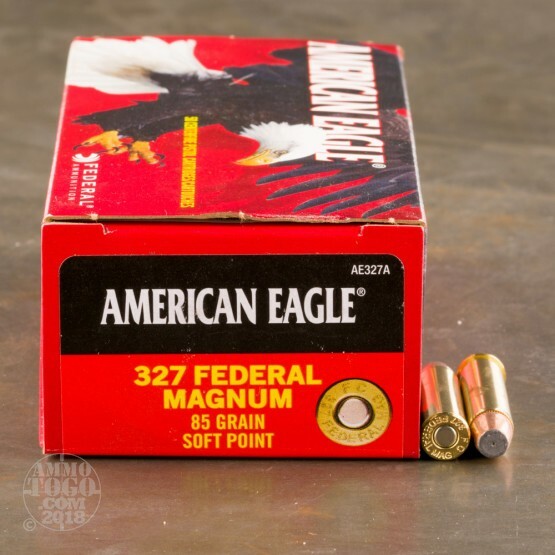 Soft Point Ammo. With American Eagle you get quality and affordability. 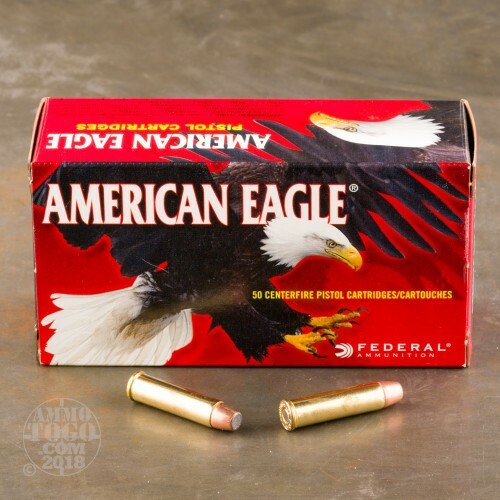 This proven line of target shooting ammunition provides performance similar to top loads for a familiar feel and realistic practice. 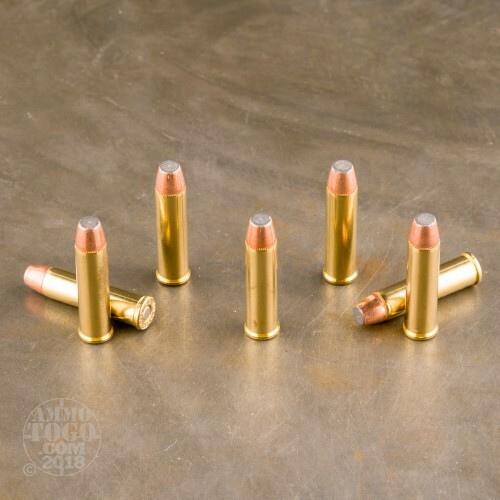 This ammo is new production, brass cased and boxer primed. Muzzle Velocity: 1400 fps Muzzle Energy: 370 ft. lbs. 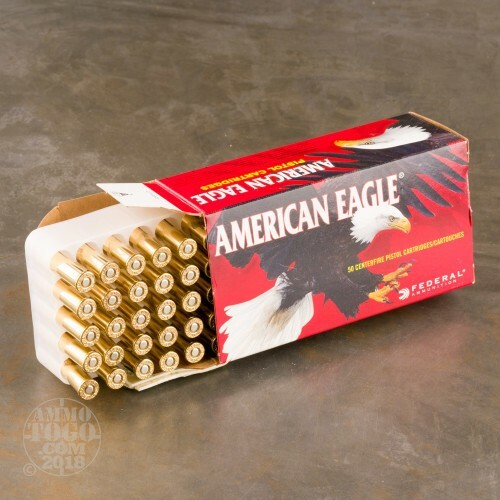 This ammo is packed in 50rds. per box.